Emily Grover admits, “being a full-time mommy definitely leads to some interesting workout situations. I am no stranger to squatting while holding my little girl or fitting a workout in during our morning walk to the park.” We know she isn’t alone as many moms juggle the duties of motherhood while also working and trying to maintain a healthy, balanced lifestyle. Emily Grover admits, “being a full time mommy definitely leads to some interesting workout situations. I am no stranger to squatting while holding my little girl or fitting a workout in during our morning walk to the park.” We know she isn’t alone as many moms juggle the duties of motherhood while also working and trying to maintain a healthy, balanced lifestyle. Our children are the most important thing to us, but we shouldn’t neglect our health. 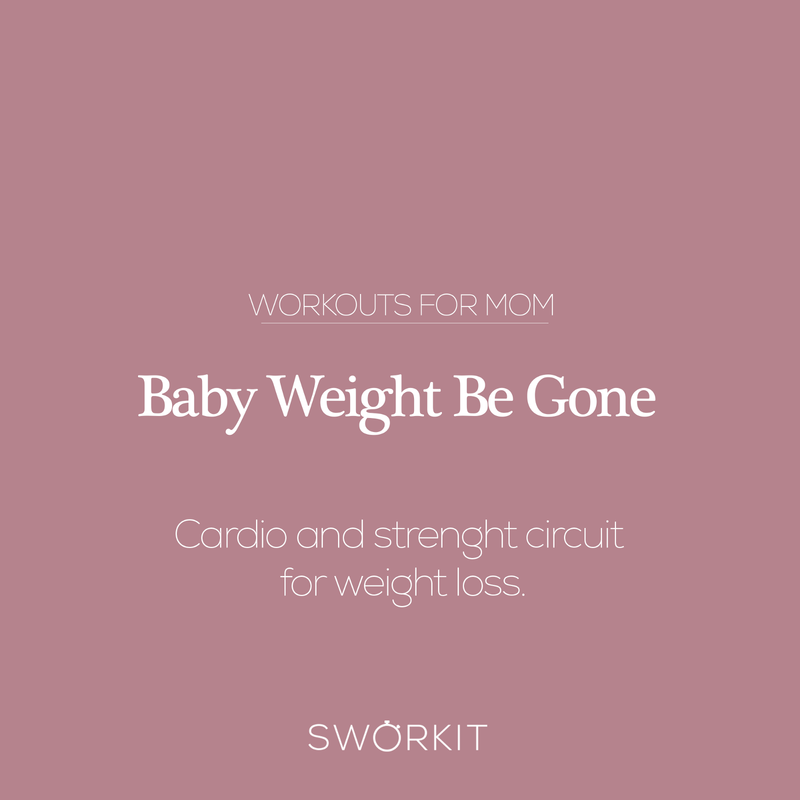 For the days the gym seems a million miles away and the kids don’t want to leave your side, grab your sworkit fitness app and workout at home with these personalized workouts. Don’t wake baby: A workout that’s just intense enough, but won’t shake the whole house. Shh baby is sleeping! Melissa’s Tip: Utilize nap time. When kids are safely sleeping that’s the best time to squeeze in a quick workout! On the flip side if the kiddos are awake, include them! Oliver and Charlie love trying my workouts and since they are so quickly moving (both the workouts & kiddos) they stay interested and feel challenged to copy what mommy is doing! Making it a great workout for me and fun for them to spend that time with me! Tummy Tightening with a Toddler: Here’s an ab routine that will give you full vision on children! 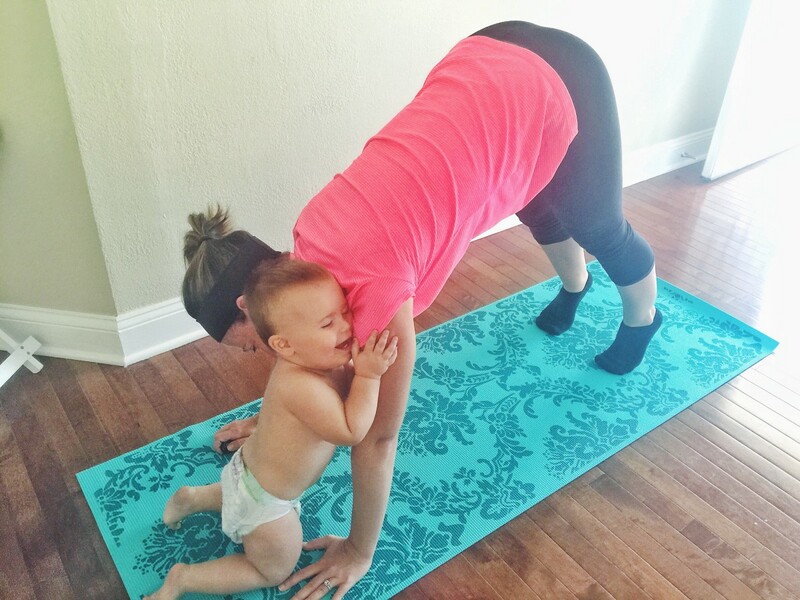 Melissa’s Tip: After having a baby doing just 1 sit up can be taxing. I loved SLOWLY progressing each day… every morning waking up and thinking “I wonder how many sit ups I can do today” was a thing I eventually started looking forward to! Make it a challenge and each day you’ll be able to complete more and more, making each sit up a huge victory and cause for celebration! Baby Weight Be Gone: You’ve lost some weight but stubborn baby fat is the worst? Here is an intense workout that will make it all disappear! 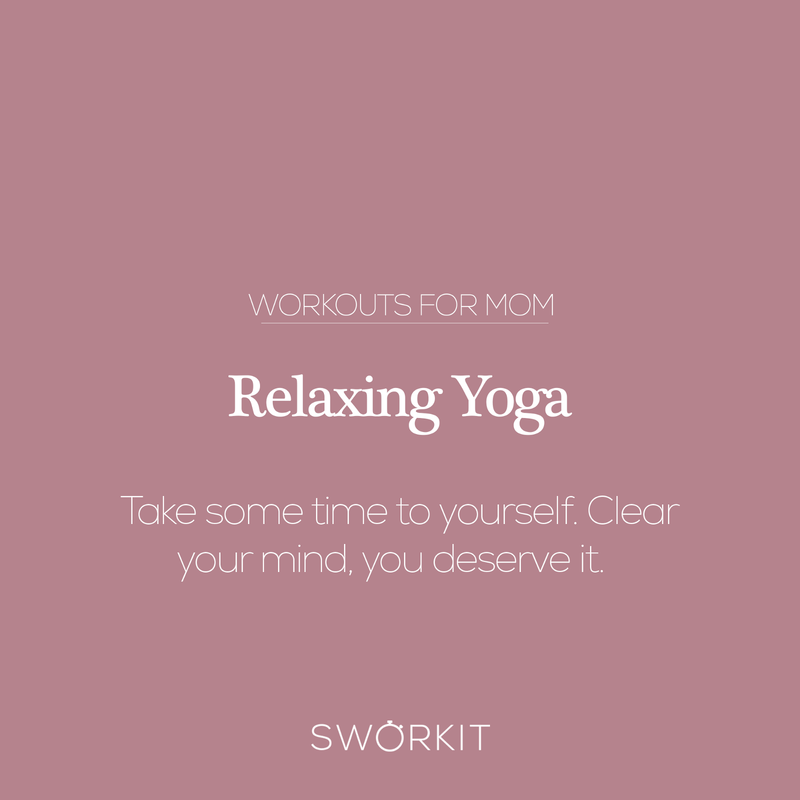 Relaxing Yoga: Okay. We all need our alone time. Some time to think, stretch, and be one with yourself. Namaste. Melissa’s Tip: Exercising releases endorphins and endorphins make us happy, with a new baby, sleep deprivation can take that happiness away SO getting in a quick workout can change the mood of your entire day! Knowing I would always be in a better mood after a workout was the best motivation! 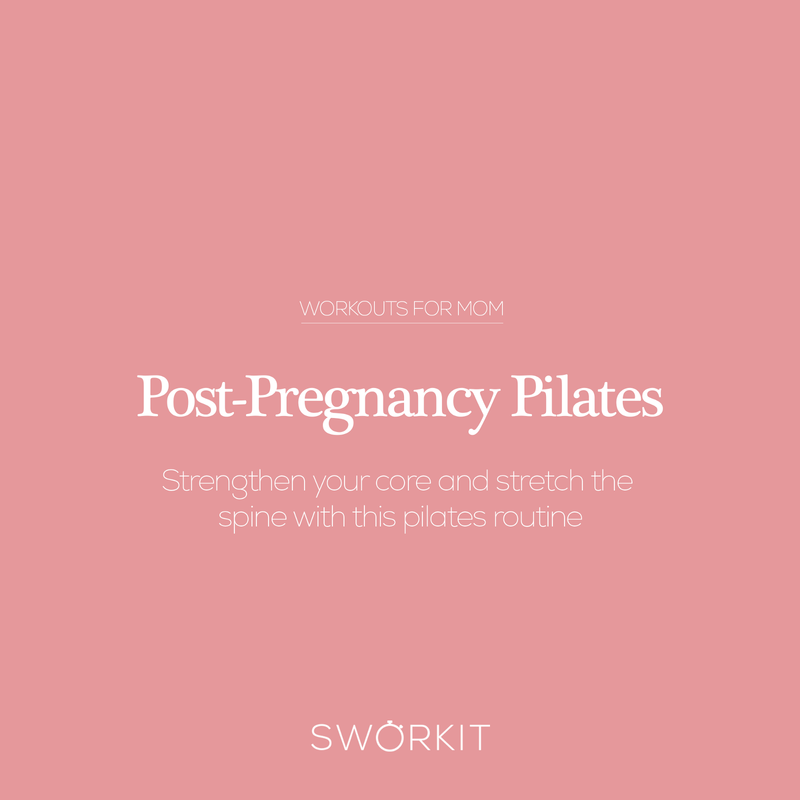 Post-Pregnancy Pilates: Stretch your core. Get in tune with your body. Get back to the pre-baby body. If you’re in Boston, take a class with Meagan Fitzgerald! You can add all these workouts to your custom workout list in our app with Premium and for a limited time, we’re offering 20% off. 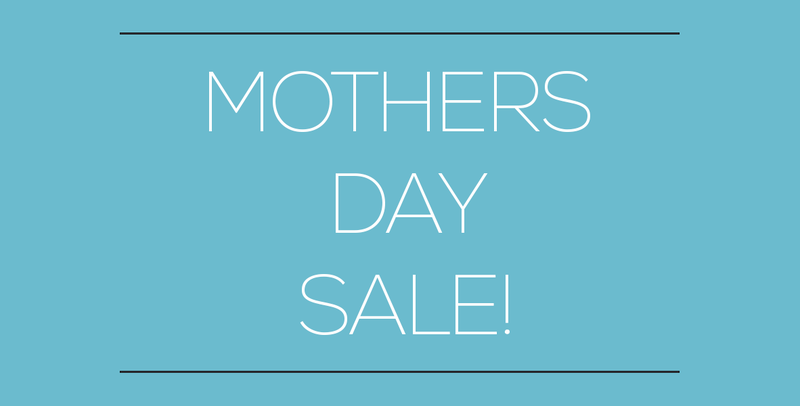 This discount is only valid when purchase is made through our web app so head on over and use the code SWORKITMOM to get your discount.